SENSUS is now the exclusive Canadian distribution partner of JPL Telecom, a UK-based global headset manufacturer, providing versatile and cost-effective headset solutions to enterprises since 2004. SENSUS now offers a wide range of JPL Telecom headsets for organisations in Canada. SENSUS is looking forward to providing JPL Telecom headsets to the Canadian market. Being able to offer a wider range of headset options will allow customers to make even better purchasing decisions based on their needs. The versatility and flexibility of JPL Telecom product focuses on long-term cost-effective solutions which can be a sound investment for many companies and contact centres located in Canada. Based in Dorset, England, JPL Telecom has designed and manufactured professional headsets for Contact Centres and Unified Communications since 2004. We have grown exponentially and are now the UK’s third largest manufacturer of professional business telecom headsets. JPL Telecom sells through partners in the UK, Europe, US, Mexico and now the UAE. JPL Telecom offers a wide range of professional telecom headsets, ranging from entry level office use headsets to professional call centre use headsets in wired and wireless DECT styles, providing a real alternative to the current brand leaders. The company’s aim is to continuously improve customer choice, offering value to our resellers and end users. 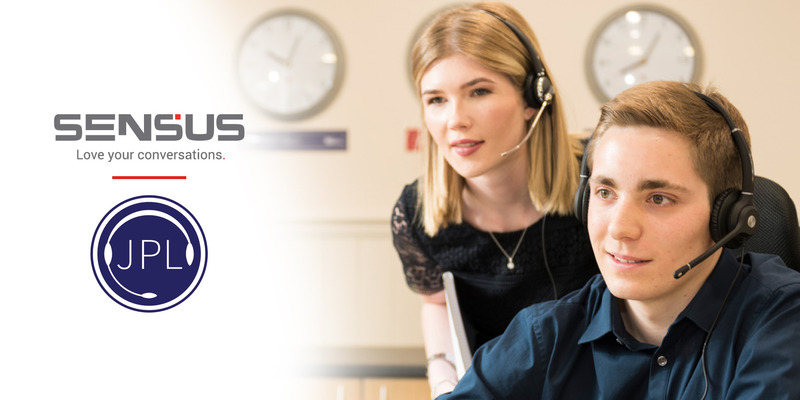 Providing quality telecommunication solutions to Canadian enterprises for over 30 years, SENSUS is a leader in professional headsets, boardroom solutions, and AV integration. Our years of experience, paired with unparalleled customer service support help our 8,000+ customers, from small businesses to global corporations, Love Their Conversations. SENSUS offers a wide selection of telecommunication and video conferencing devices from global brands such as Jabra, Polycom, Plantronics, Lifesize, Barco, Kramer, and many more, which now includes JPL Telecom.